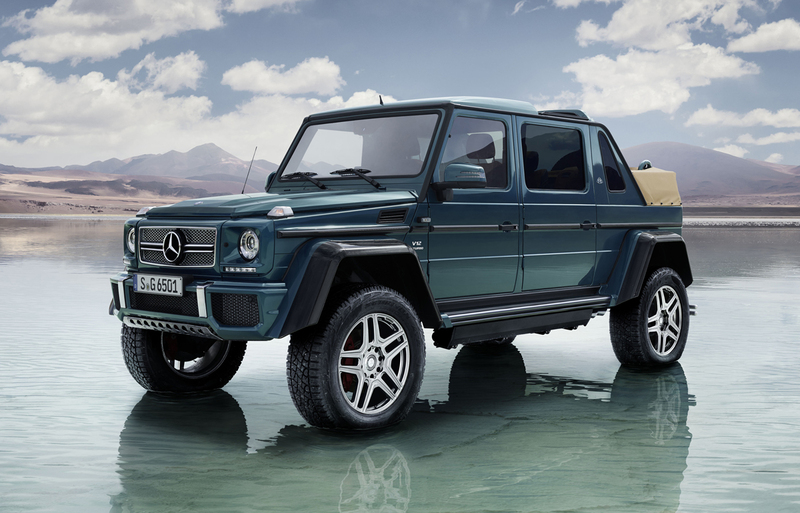 We have a fetish for the G Class, and lucky for us Mercedes keeps heaping new models and excitement to their top-end yet venerable G Wagen SUV. 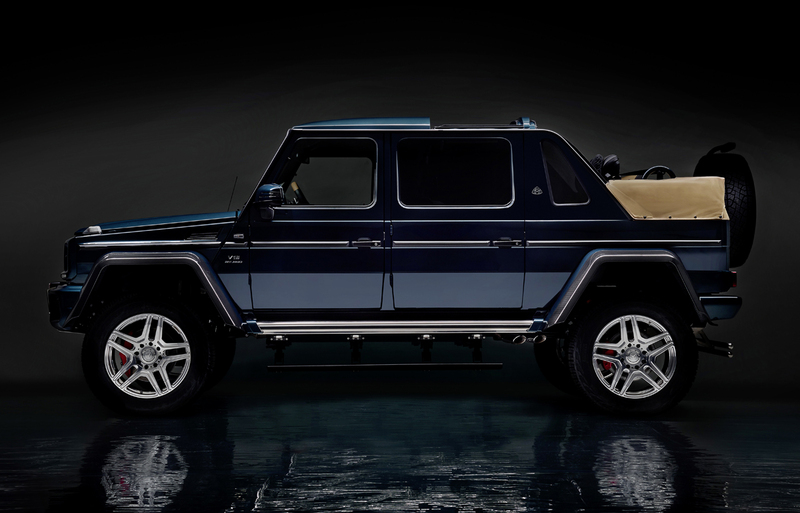 The latest and now the most ultimate version will make its official debut at the 2017 Geneva Motor Show, the Mercedes-Maybach G 650 Landaulet. 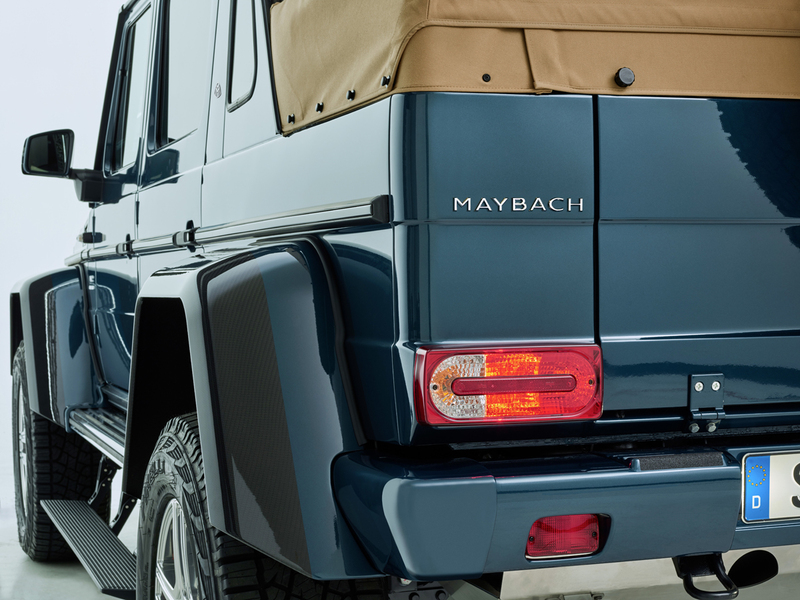 The first time the Maybach moniker has been given to the once military utility, this is likely the most extremely luxurious and expensive G Wagen yet. 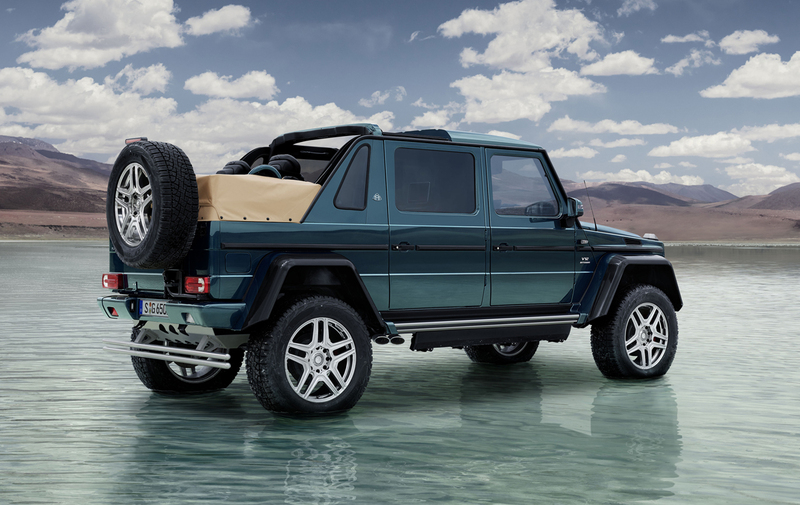 Starting with the suspension and off-road hardware of the recently unveiled G Class 4×42, the chassis has been stretched in length and a power soft-top added to give open air motoring in the wilds. This of course would be handy for your next safari no? 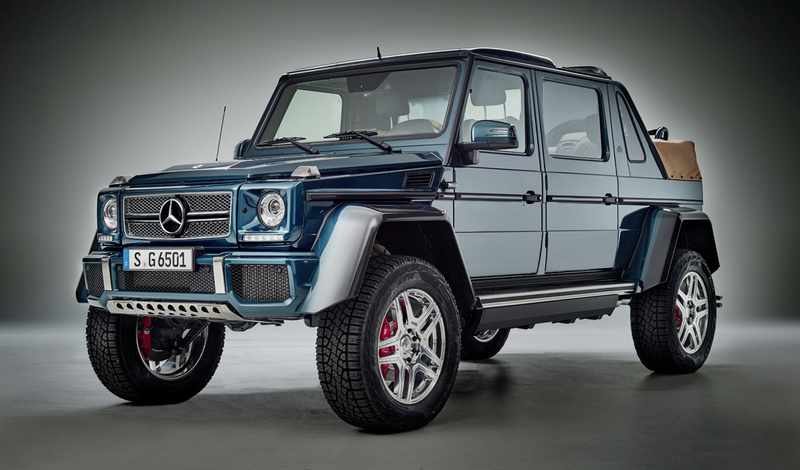 And if the wild beasts give chase, the massive G 650 Landaulet will sprint impressively by way of its Mercedes-AMG twin-turbocharged V12 with its 630 horsepower and 737 pound-feet of torque. 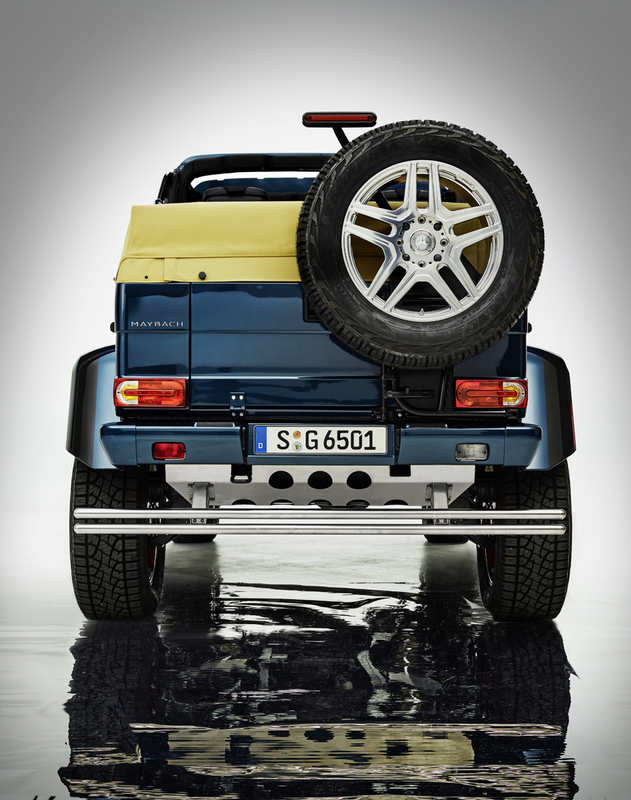 It can keep that pace too with the same raised suspension and portal axles from the 4×42 G Wagen. 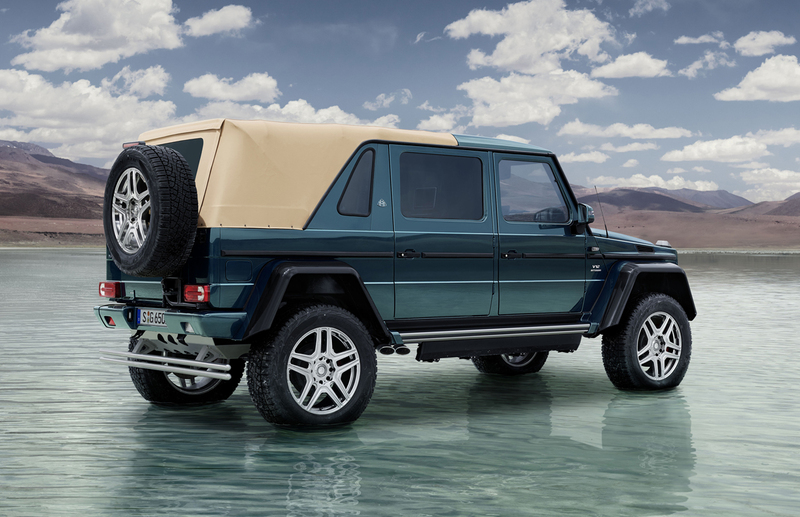 This gives a massive raise in ride height over the standard G Class and affords it ground clearance beyond just about anything else on the market whether luxury or utilitarian in nature. 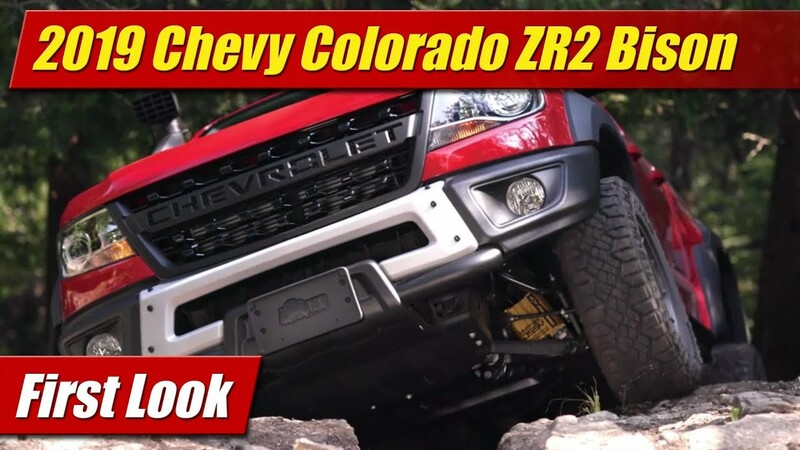 Massive 22-inch wheels mounted with 325/55R22 tires hardly look their size in comparison. All this talk of mechanical bits however loses the point of the G 650 Landaulet. 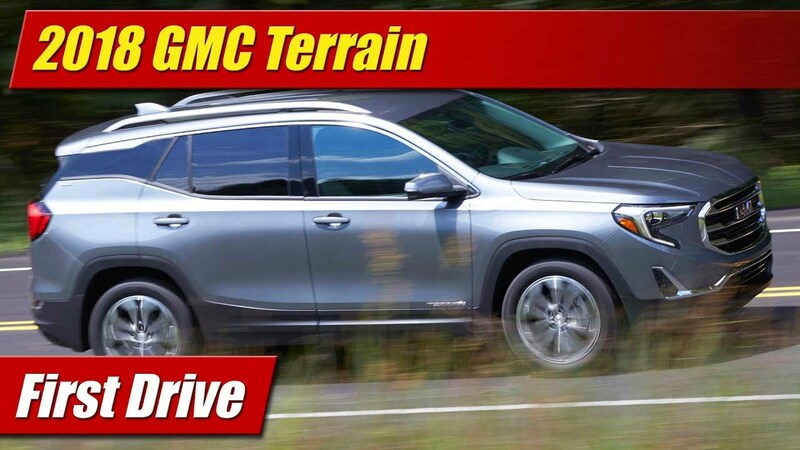 Luxury is where it’s at for its owners, who will likely enjoy the leg stretching rear cabin afforded by its 22-inch stretch in length. Two of them at least, as this is a four-seater only. 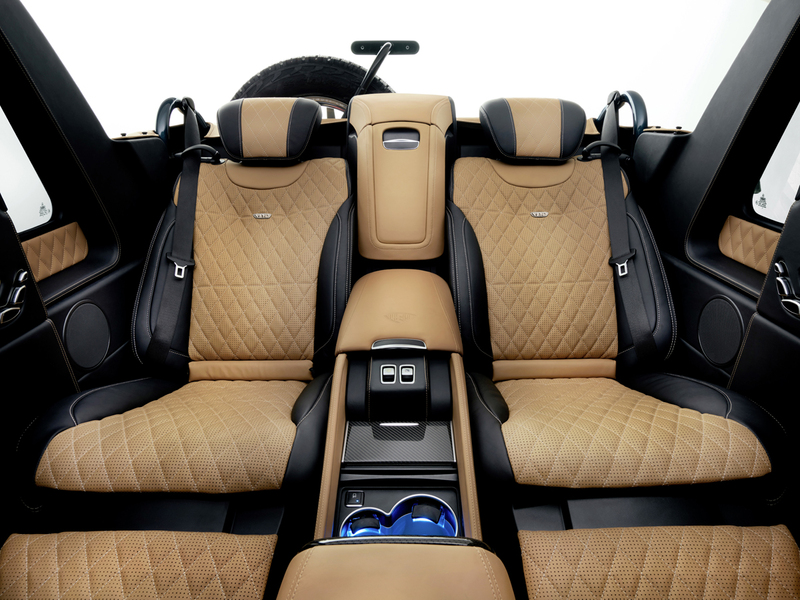 A at the press of a button, the power soft top drops only for these lucky two who sit majestically in quilted leather chairs from the S-Class sedan that can recline and adjust every which way – and even have fold out ottomans for lounging along the trail. 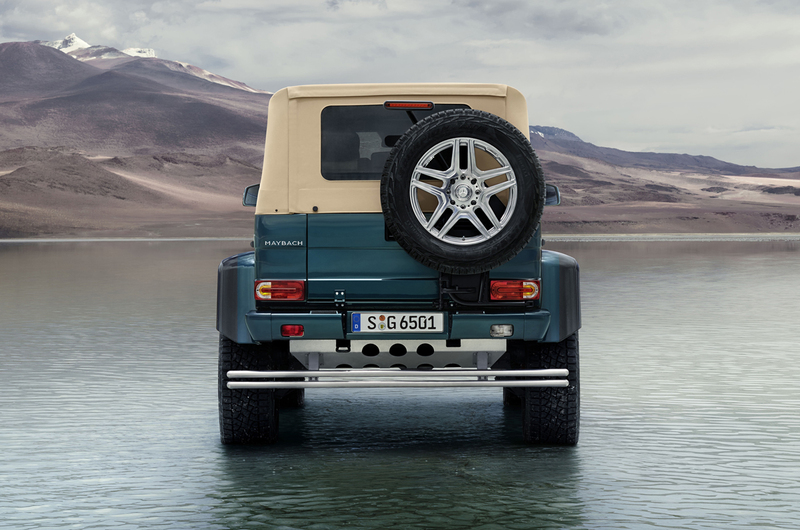 There’s heating and ventilation and fully outfitted air chamber massage system for those long safari days. 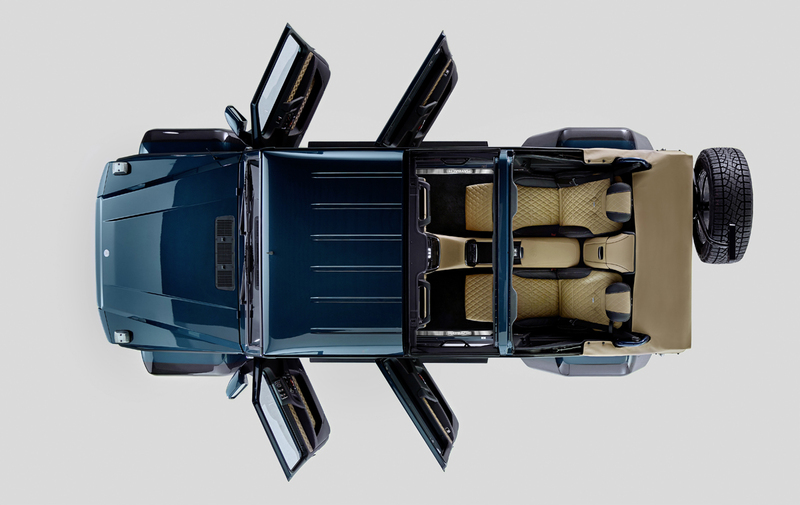 Outfitted between the rear seats is a business console to stay in touch with the office and yes there’s a glass partition to have privacy from the help. 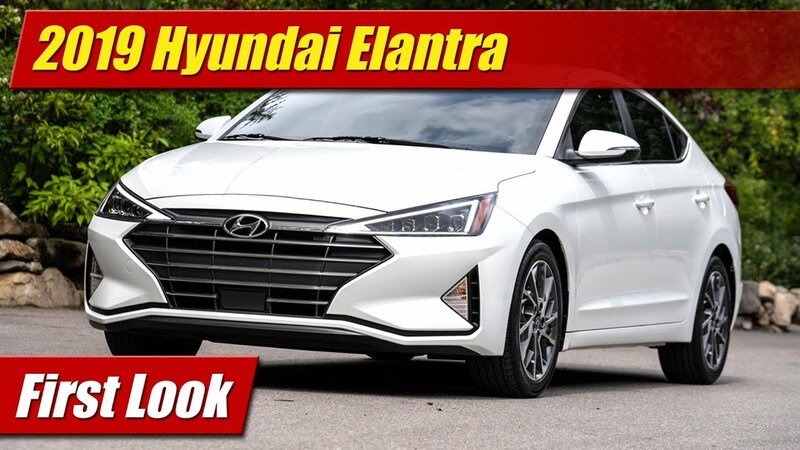 Ahead of the passenger are screens that can display driving metrics, navigation and control the aforementioned seating arrangements and massage functions. A center console also houses controls for the power top and dual glove boxes are offered on each side. The driver isn’t however left without. 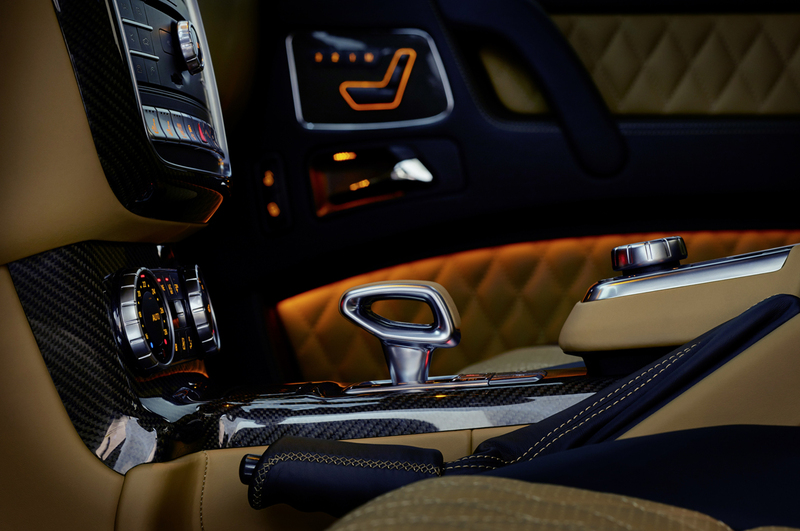 They will enjoy top-drawer leathers and carbon fiber trims afforded their passengers in the rear, likely the nicest lined and stitched interior you will ever find in a G Wagen. 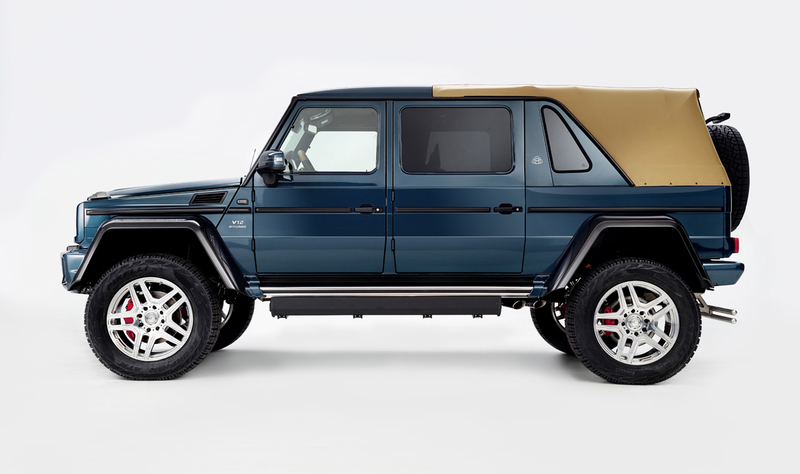 To be very exclusive, the Mercedes-Maybach G 650 Landaulet will be limited in production to only 99 units and will begin production this fall. 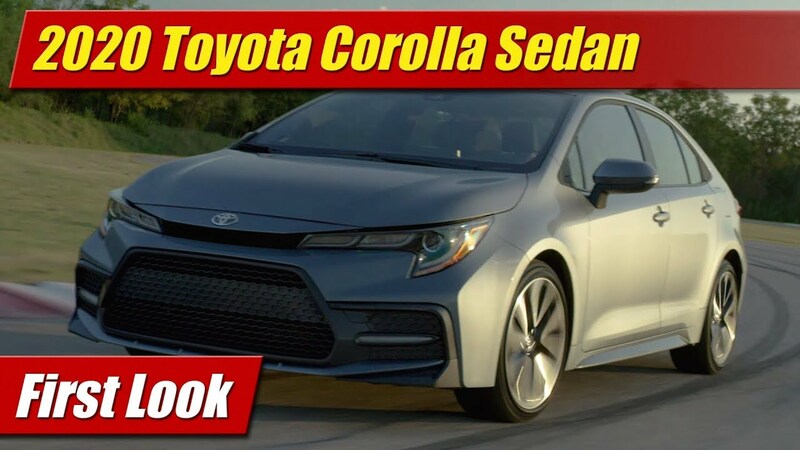 Whether any of these will make it to North America has not yet been announced and pricing? Not really relevant is it?